With over 20 years of software development experience, Touch Sciences can create specific applications for your unique situation. let you stay focused on your business. We are able to design, develop, test, deploy, and manage your software development process. From start to finish, Touch Sciences will take your product from conception to market. 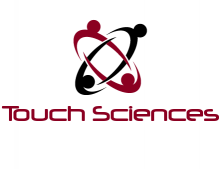 Touch Sciences has the experience and expertise to deliver outstanding products. Mobile applications are transforming the way businesses manage their operations. The new generation of iPhone, iPad, Blackberry and Android mobile devices offer an unmatched level of flexibility and ease-of-use. Our mobile application development services can help you create solutions unique to your business. Let us help you close that deal! Touch Sciences is able to provide 'value added' software. We will work with your customer to provide custom modification to suit their needs - and help close that sale.